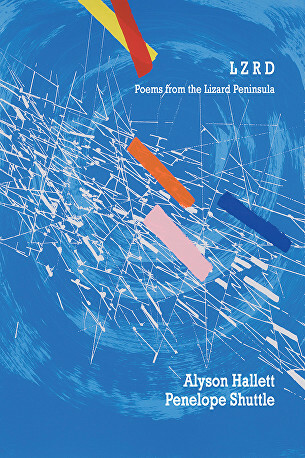 In this collection of poems drawn from the Lizard Peninsula in Cornwall, land is not just alive and singing, it's full of mischief and mystery and power. Beaches, serpentine stone, cliffs, chips: the Lizard is a prayer book with the pages in a deliberate wrong order. The Lizard is a church made of celtic air. Everything is tinged with salt and freshened with a breeze that's fast and furious off the sea. St. Keverne, Cury, Ruan Minor - wherever LZRD goes, it invites you to the party. This book opens its doors and says come in, come with us as we travel across this magical land. Generations of disapproval leave their mark - and install beliefs, mindsets and habits so rigid that they are hard to break. 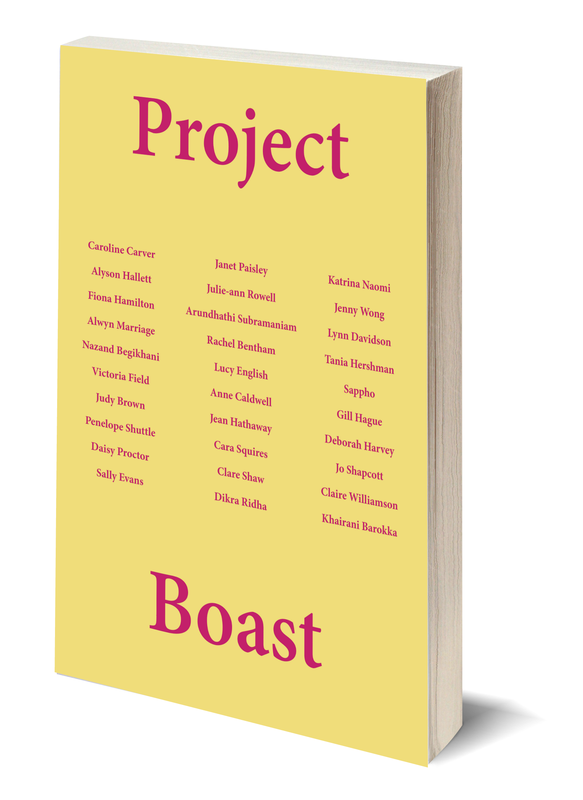 In Project Boast, poets Rachel Bentham and Alyson Hallett seek out contemporary women poets who are speaking out and who are making a fresh mark, registering the straitjacket they have had to wear and celebrating the emerging possibility of real change. The result is this collection of 65 poems by 29 women poets - poems that are a reminder and a joyous encouragement, a feast and a heartfelt rejoinder. North Cornwall Book Festival - Saturday 7th October, 1 pm. Reading with Pascale Petit. 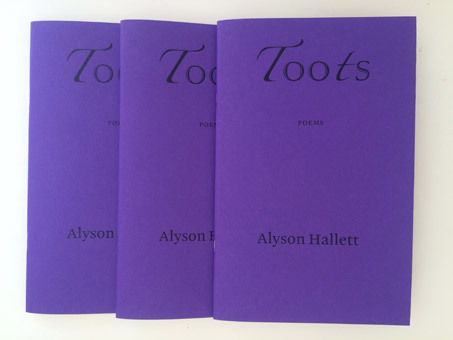 Toots has been shortlisted for the Michael Marks Poetry Award which recognises an outstanding poetry pamphlet published in the UK between 1st July 2016 and 31st July 2017. For more details see Toots at Mariscat Press. Co-written with walking artist and writer Phil Smith, this book is published by Triarchy Press. It explores cultural perceptions and personal values associated with walking, personal anecdotes, philosophical reflection, practices for daily-life and an alphabet of falling. For more details see Walking, Stumbling, Limping, Falling at Triarchy Press. Friday, 13th January 2017, 10.45 pm Alyson will be reading her essay on Chalk. Drawing upon the work of poets from different continents, physicists, anthropologists, geologists, artists and geographers, this book is a kaleidoscopic exploration of poetry and place. Originally written as research for a PhD, Geographical Intimacy is an easy to read book that explores how we can live on Earth with an open and generous heart. 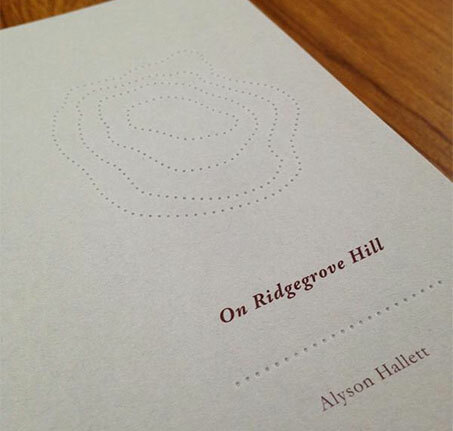 On Ridgegrove Hill, is now published and available from Atlantic Press. This book has been beautifully designed by Phyllida Bluemel and follows on from Alyson's Charles Causley residency in 2015. A video by Janet McEwan. 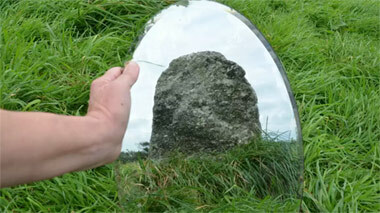 In 2014 Alyson was an invited guest in a project relating to the Merry Maidens stone circle in Cornwall with artists Janet McEwan and Ann Haycock. 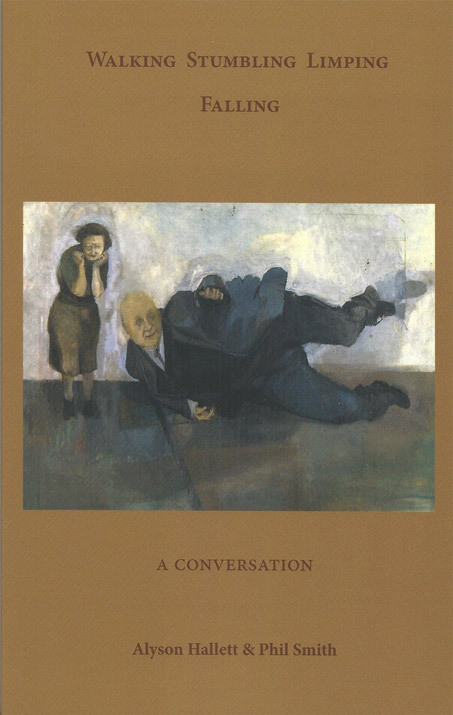 A conversation between Alyson and New Zealand poet Lynn Davidson recorded at the Scottish Poetry Library by Jennifer Williams. Completion of a practice-based PhD in poetry at St. Mary’s University College, London. Research focussed upon geographical intimacy and interfusion in poetry. Click here to read ‘Geographical Intimacy’, an article published in the Lapidus online journal. Released September 2007 by Peterloo Poets. An artists book of chances made in collaboration with Penelope Downes. Limited edition of 500. A book of poems and images created after spending a year as writer-in-residence at South West Arts for Year of the Artist. 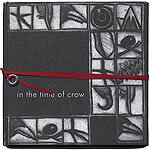 Artists book collection of poems made in collaboration with Penelope Downes. Limited edition of 150. BBC Radio 4 broadcast, Nature: Migrating Stones. A programme about Alyson's journey to Australia with the third migrating stone. To hear this programme, please type Radio 4 Nature into your search engine and then scroll down until you reach Nature: Migrating Stones. A verse drama commissioned by the University of the West of England and performed in Bristol Cathedral by actors from the Old Vic. Chosen for Pick of the Week and Pick of the Year. 90 short scripts written and broadcast on Sky Television.